With Texas being the second largest state in the USA and one of the sunniest year round, you would think that this would be the best place to install a solar energy system on your roof? You’d be very surprised as Texas as it is one of the lacking sunny states when it comes to connecting homes to free, eco-friendly energy via solar panels. However, anything can change in the energy industry and those who are currently utilizing solar do receive a numerous amount of financial benefits and subsidies as well the assurance that they are doing their part in preserving the environment. Sugar Land is a great place to consider solar panels. The above graph explains just how relatively inexpensive solar has gotten in these past few years. Similar to Moore’s law when it comes to technology and how it’s becoming exponentially less expensive and exponentially more advanced, solar is constantly becoming more and more cost-effective. 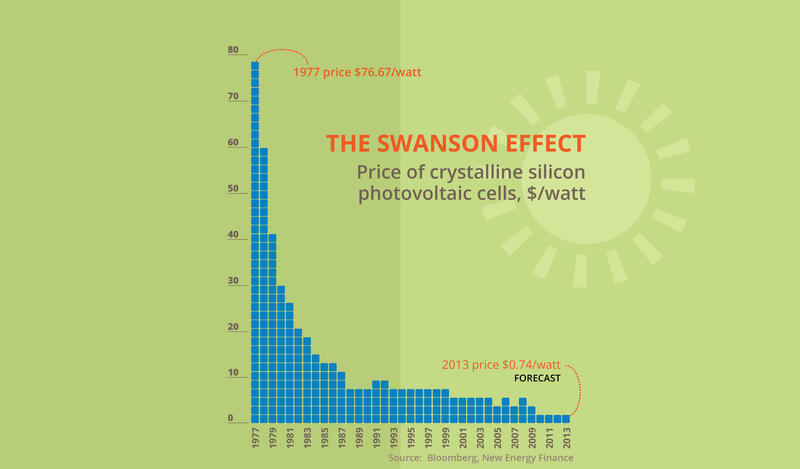 The name of the effect is called the Swanson Effect, named after a man named Richard Swanson who founded a solar panel manufacturing company. As you can see from the graphic, now is better than ever if you are considering going solar. When paying for your solar system installation, there are three methods to choose from: leasing, cash purchase, or purchase with credit. If you look above, the graph compares the three methods financially for a common 5kw solar system. However, this is an estimate and your numbers will vary some, which depends on the scale of your system and its energy usage. No matter what option you choose, the eco-friendly benefit will always be there because every kilowatt utilized via your solar energy system means you won’t have to burn the same amount of polluting fossil fuels. If you’re interesting in helping spread the solar message, please sign our petition. A cash purchase is the method of paying for your solar panel system out-of-pocket and in cash. The average cost of a 5kW solar system is ~$20,000. For many of us this sounds like a ton of money to be spending, but sometimes utility companies provide rebates on solar systems and the federal government will offer a tax credit of 30% of the price of your system. Technically, your system will really cost only $9,400. The amazing thing about these solar panel systems is that if you’re effectively saving ~$1,000 a year in electricity expenses, your system could pay for itself in under ten years. The expected lifespan on these solar panel systems is 20 to 25 years. However, many systems last more than that, but there is a deterioration in performance as time goes on. In the end, you will be receiving 15 years of free eco-friendly electricity. 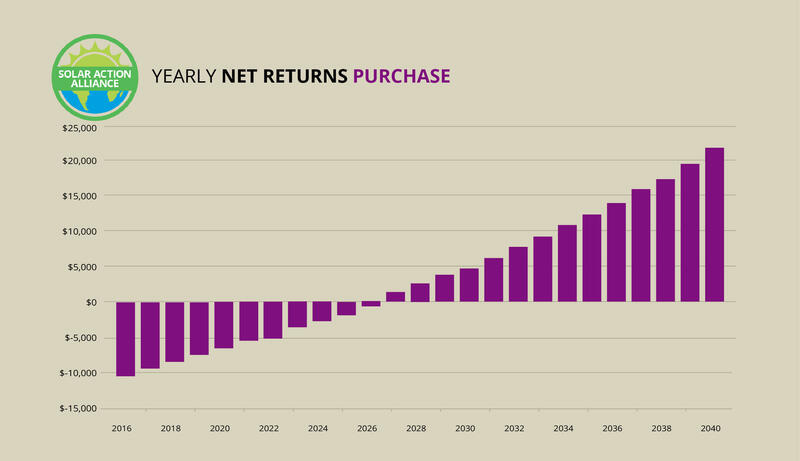 In comparison to any other high-ranking investment, a solar panel system holds a better return in the long run. Financing your solar panel system with credit could be a suitable option for you if you want to own your rooftop installation, but don’t have the immediate cash available. While it may sound fine and dandy to do a credit purchase, you do have to factor in your repayments. 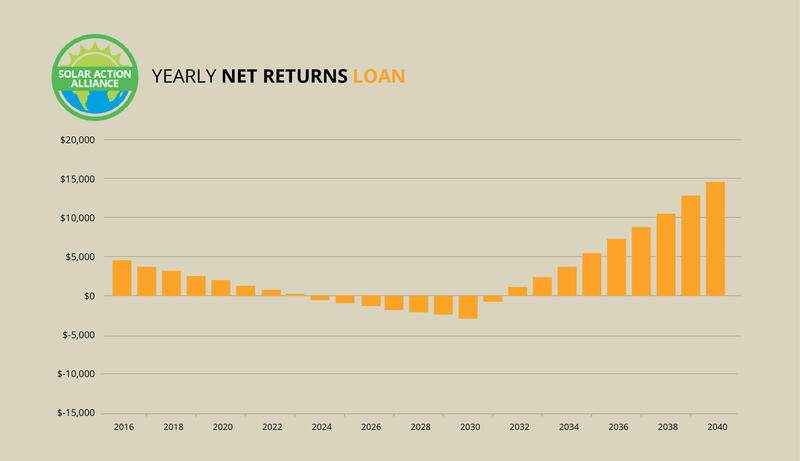 These rely completely on the type of loan you get, but 5% repayments with a home equity line of credit type of loan are the most common at the current date. If you start with a $20,000 loan at 5%, you will be paying more back to repayments compared to what you save on your energy bill. However, as energy costs rise year after year, then you’ll be happy to see your system begin to save after 15 years and then 5 years from then you will be the owner of your solar system. Another benefit of buying with credit or through cash is the positive increase on property value you get. The method of leasing is an excellent choice for families and homeowners who do not want the responsibility or large immediate cost of purchasing a solar system and want the solar provider to be in charge of any maintenance and repairs. However, solar power systems do not require much maintenance. They truly are the most stress-free and eco-friendly energy solutions available! With leasing, you get the assurance that your solar panels are in good hands while also receiving the financial benefits. All leasing options do vary slightly when it comes to when you. Some companies have you pay on a monthly basis while others have you pay for the power you use. Both ways of paying are cheaper then if you were to buy the power directly. Besides, if you compare the upward incline of conventional electricity costs and what you will be paying through your solar provider, the savings in energy will have you getting the best deal. 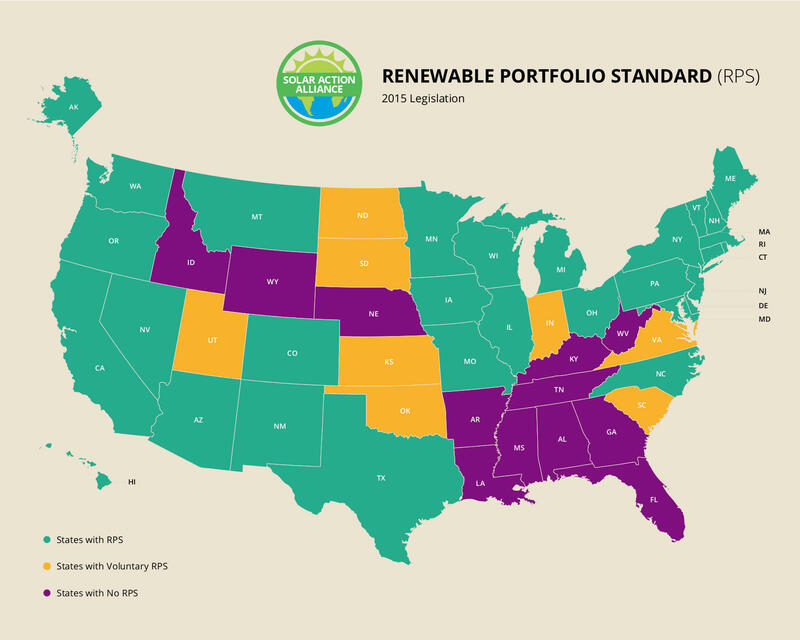 A Renewable Portfolio Standard (RPS) is a law stating the percentage of renewable electricity that must come from the state. If utility companies do not meet this deadline, they are forced to pay fines, which is a solid incentive for them to push solar systems to their customers. However, Texas does not have this law. We did have an RPS before, but the law was unfortunately repealed. Many municipalities have their own solar programs now, which is a benefit in the loss of the RPS. With a solar panel system in Sugar Land, TX this asset makes up a portion of your home’s value as non-taxable. If you’re with the right utility company, they will offer you a rebate for every kilowatt of solar power you utilize. There is no statewide net metering law in place for Texas, but you will not get paid for any excess kilowatts you generate. In the grand scheme of things, it is a good thing Texas has a interconnectedness policy so you can have your system connected to the grid. 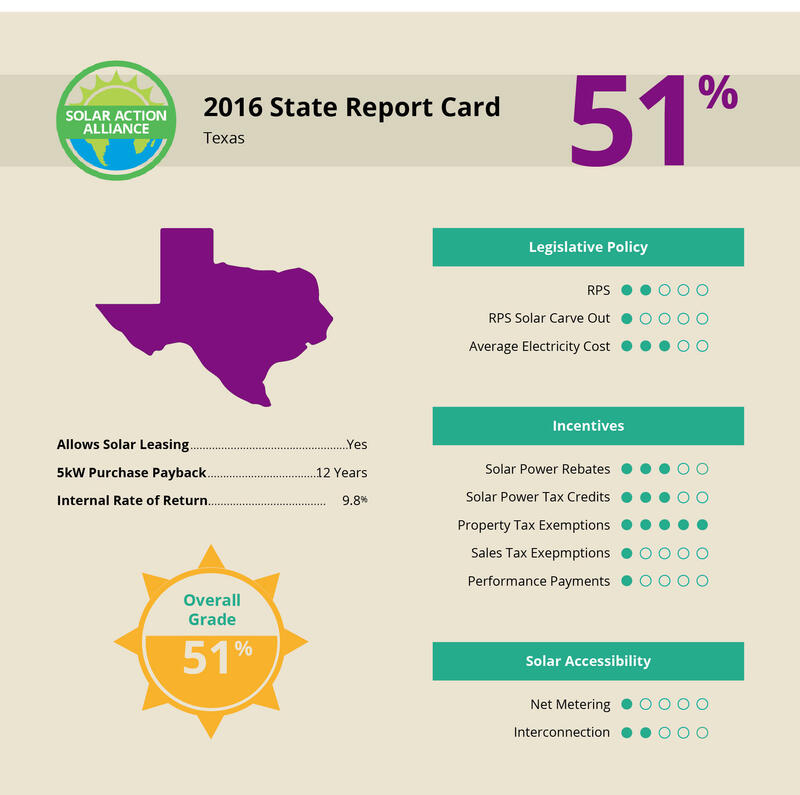 Once Texas passes a net metering law, you’ll be all ready to get the most out of your solar panel system! In conclusion, Sugar Land does provide some benefits when utilizing solar systems, but state leadership is pointing the state towards fossil fuels. However, this is bound to change soon. Especially if businesses continue to get behind this push. If you look at smoking, it took us 20 years to figure out that this habit was extremely unhealthy and the same thing will happen with Texas’ excessive use of fossil fuels. At the very least, Texas allows homeowners to have their say in how we get our energy, solar is just one of multiple ‘green’ trends. Lastly, with the over abundance of sun in this state, a solar energy system is a financially sound way of saving money, forming independence from your power company, and bettering the world with eco-friendly energy solutions.